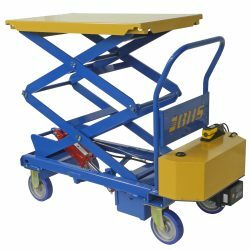 Call 1.800.BHS.9500 to learn more about Powered Mobile Lift Tables. Our sales team can answer any questions you may have or direct you to a local dealer. As with all BHS products, our sales team is happy to discuss customizations to help our products more directly address your operation’s needs. Call now and find out how BHS products can help your warehouse improve safety and efficiency.